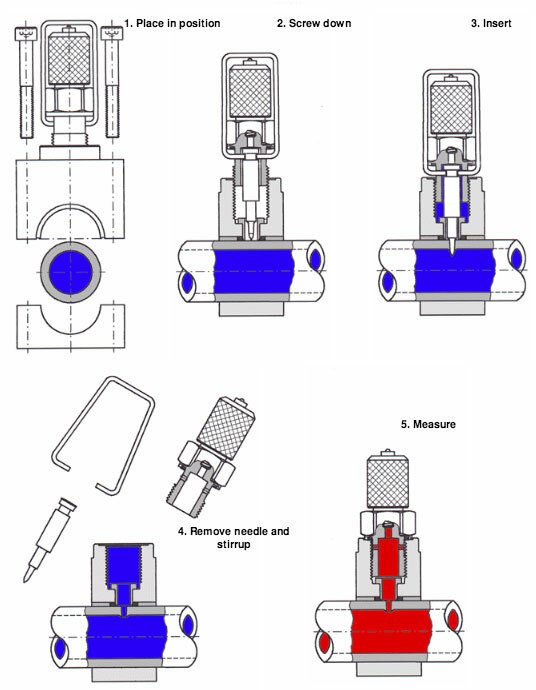 A needle is pressed through the wall of the pipe. It uses the principle of plastic deformation to create a leak-proof opening. Finally you remove the needle and stirrup to measure. No competition in the market! from 10 - 42 mm/ Tube 3/8"- 2"/ Pipe ¼" to 3"
(*) Up to 5 mm with special needle Art. Nr. 501-041-02 possible.